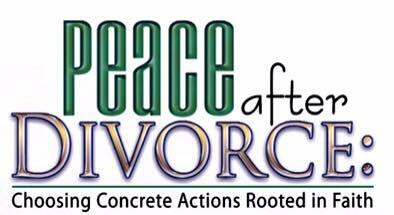 Peace After Divorce is an eight-week educational workshop and divorce support group. Getting through divorce is hard and getting over divorce is complicated. Learn ways to cope with divorce in a group facilitated by people who have also lived through divorce. Through this group you will discover actions you can take to heal and move on with your life while supported by God’s healing grace and mercy. ​This education and support group is open to all who are divorced, separated or in the process of divorce. Two facilitators lead the group who have both experienced divorce.